THE MAKINGS OF A GREAT DENTAL ASSISTANT STARTS HERE!!! Our students are dedicated, proactive and positive thinkers! 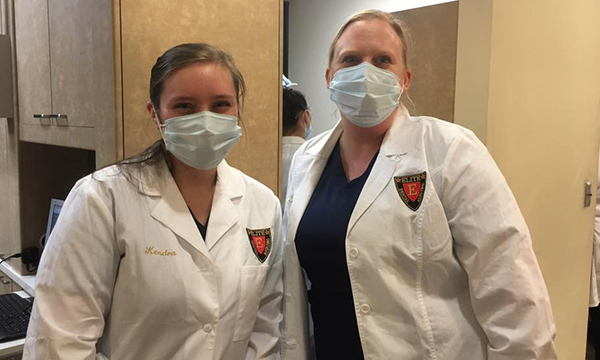 We love seeing the growth in our students as they learn the language of dental assisting. A special thank you to our students who continuously send pictures for us to post! 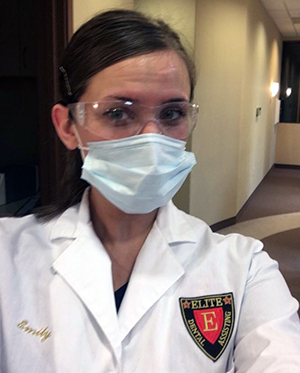 Elite Dental Assisting classes are direct and straight to the point, no messing around!! We couldn’t be happier with this group of students, they are all exceptional!! They are attentive and loving every minute of the hands on (can’t say that for the tests, but they all hang tough and study hard!!). As our January class is coming to a close, we are so impressed with how far these students have come!. They jumped right into the course and set out to become Elite Dental Assistants! These amazing men and women worked together to study and learn a new career. We hear time and time again from incoming students that they learn best from visual and hands on, so that’s what we concentrate on! See it, touch it, say it out loud and use it! We get it, that’s the best way to learn and remember what you’ve learned. If you are one of the fearless looking for a new career, Call us now at 360-433-0788, or email us for more information and to see if you qualify.